Press Release (ePRNews.com) - TAMARAC, Fla. - Jan 15, 2018 - The City of Tamarac will be celebrating Black History Month from January through February 2018. This celebration recognizes the important contributions African-Americans have made, and honors those who helped change American history with their bravery and determination. The City of Tamarac is a multicultural city that recognizes and celebrates diversity. The city population has grown to one that includes all ages of people from all cultures and ethnicities. Tamarac embraces our cultural diversity and we honor what has come before and how it shapes our City today. 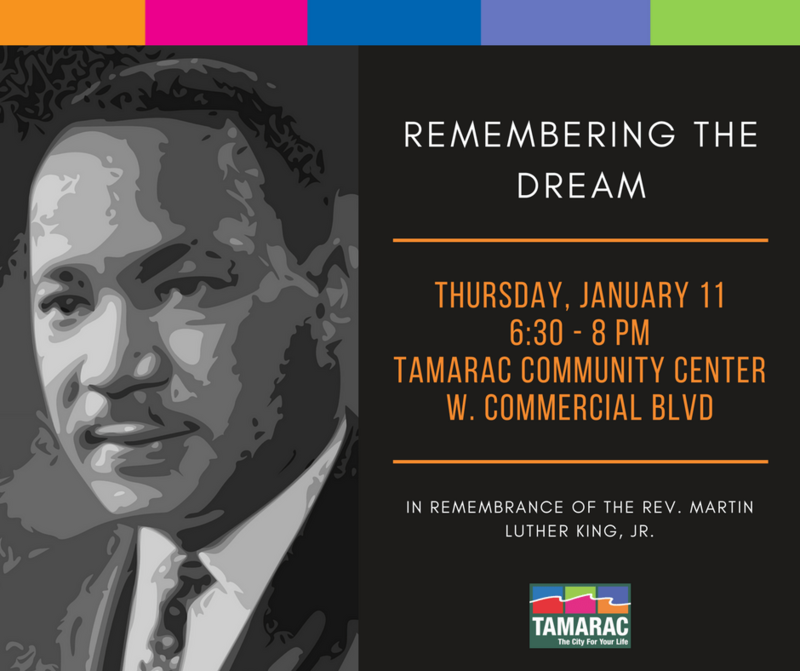 On Jan. 11, from 6:30-8 p.m., the ‘’Remembering the Dream’’ event takes place in celebration of the legacy of Reverend Martin Luther King, Jr. This early MLK Day observance will honor the cultural icon who helped shape the Civil Rights Movement. Featured at this free event is a performance by Ashanti Cultural Arts and an African-American art exhibit by visual artist Terri A. Meredith, who celebrates the intriguing nuances of modern Black life through graphite, digital illustration, and traditional acrylic painting. Other Tamarac events that are a must-see include stopping by the Tamarac Community Center (8601 W. Commercial Boulevard) in January and February to see other art exhibitions featured. These exhibitions, include the Challenger Elementary students’ interpretation and honoring of Black History Month through art. For more information follow The City of Tamarac on Facebook, and join in the celebration.